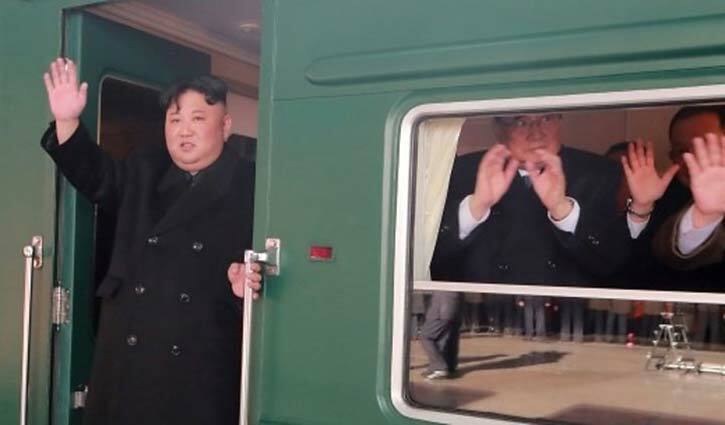 International Desk: North Korea’s leader, Kim Jong-un, left the country’s capital by train on Saturday, starting a journey across China to his planned summit meeting with President Trump in Vietnam in the coming week. An armored train carrying Mr. Kim left the station at 5 p.m. local time, the Russian news agency Tass first reported from Pyongyang, the capital, quoting an unnamed diplomatic source. Later, the North’s official Korean Central News Agency confirmed Mr. Kim’s departure, reporting that senior party and military officials had sent him off from the Pyongyang railway station in a ceremony that included an honor guard. Earlier Saturday, the Vietnamese Foreign Ministry announced that Mr. Kim would make an official visit to Vietnam in the “coming days.” The North’s leader would be visiting at the invitation of Nguyen Phu Trong, the president and general secretary of the governing Communist Party, it said. The Vietnamese and South Korean news media had reported in the past week that an advance team of North Korean officials in Vietnam visited a train station near the Vietnam-China border, raising speculation that Mr. Kim would arrive by train. It remained unclear why he would choose to take the train to his second summit with Mr. Trump, rather than to fly, as he did to Singapore, where he met Mr. Trump for the first time in June. But the reported travel route may reflect Mr. Kim’s apparent desire to learn from the experiences of China and Vietnam to develop his country’s decrepit economy. The North Korean advance team has checked industrial and tourism centers north of Hanoi for possible visits there by Mr. Kim before or after his meetings with Mr. Trump. Mr. Trump says the United States can help Mr. Kim realize his dream for his country’s economy, but only if North Korea denuclearizes.